We have heard from a compay based in Kent who are a dedicated Fairtrade business that actively supports and promotes Fairtrade products. They have told us that they are the first company in the UK to provide brand hot beverage machines and snack machine with Fairtrade branding – all of which was approved by the Fairtrade Foundation. Their portfolio of Fairtrade branded machines include table top and free standing bean to cup, fresh brew, instant and incup hot drinks systems and a Fairtrade branded combination snack, can & bottle vendor. Their wide range of certified Fairtrade products includes, teas, coffees, hot chocolate, sugar, snacks, chocolate bars and dried fruit and nuts, whether it be for tins of coffee and tea bags for the office of ingredients for vending machines, Fairtrade Vending offers a one stop shop for all Fairtrade requirements. Their customers include Comic Relief, the charity Shelter, Banbury Town Council, Powys County Council, Medway NHS Trust and Field Studies Council. They work closely with such organisations as Barry Callabaut with their world renowned Van Houten range of hot chocolate, Drink me Chai – with their caffeine and gluten free Spice chai latte – the latest high street trend. If you want to find out more about their services, get in touch with them directly. Address: Unit 1, Henley Business Park, Medway City Estate, Kent, ME2 4FR. Double chocolate delight from Oxfam in Carshalton. Located in Oxfam in Croydon. Let us know your favourite fairtrade shop or cafe. London Fairtrade are asking us to nominate local places that sell or offer fairtrade products – so let us know your favourite place. There are lots of places in Sutton that sell or offer fairtrade produce. 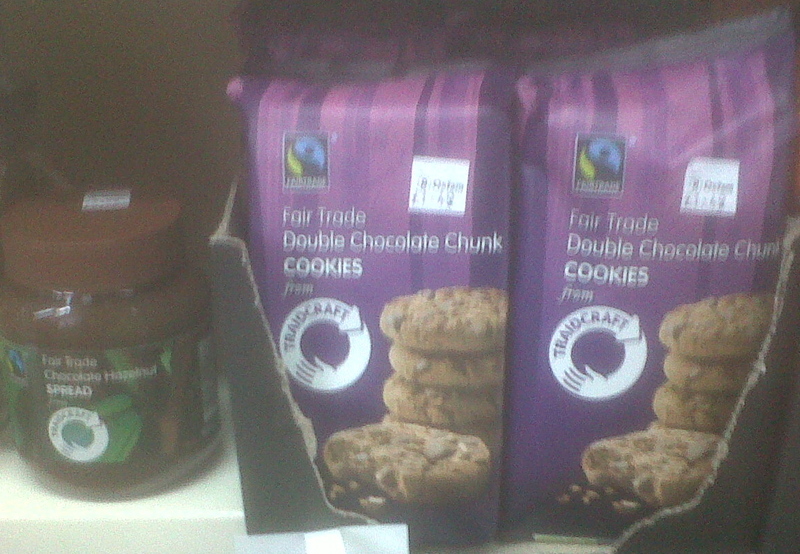 If you have not tried fairtrade before check-out our list of venues in Sutton. Perhaps not good for the waste-line! But very tempting! 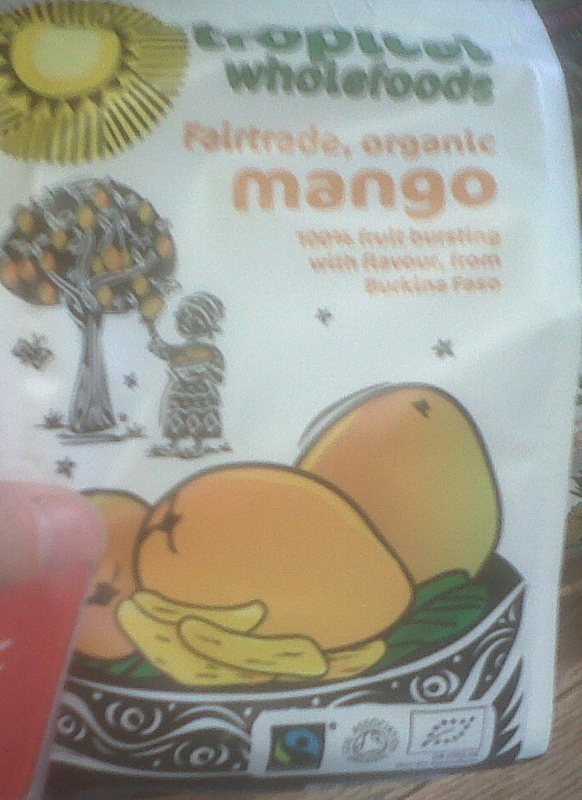 Why not pop into Noah Health Foods in Wallington this weekend and see what Fairtrade products you can pick up. 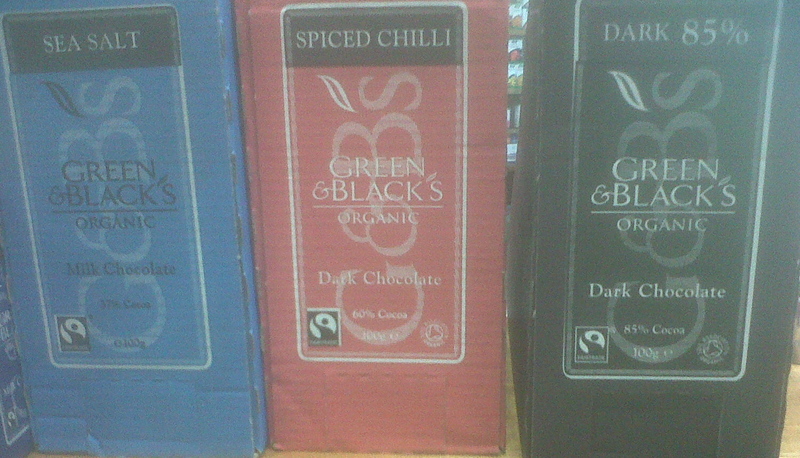 Creative chocolates from Green and Blacks. Day three … more chocolate! Day three and something else to tempt you at Noah Health Foods in Wallington. Another snack from Noah Health Foods in Wallington. Watch out for another tasty idea tomorrow. 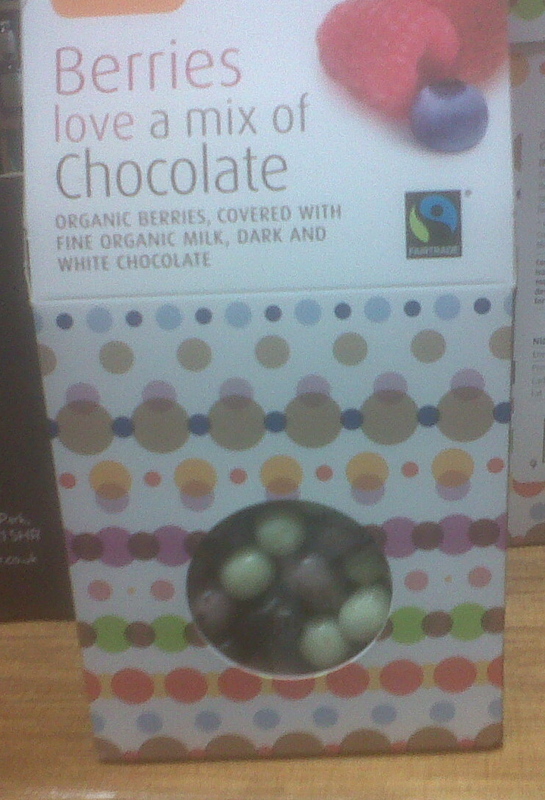 Over the next few days we will feature some Fairtrade items that you can purchase from Noah Health Foods in Wallington. Thanks to one of our supporters for sending us these pictures. 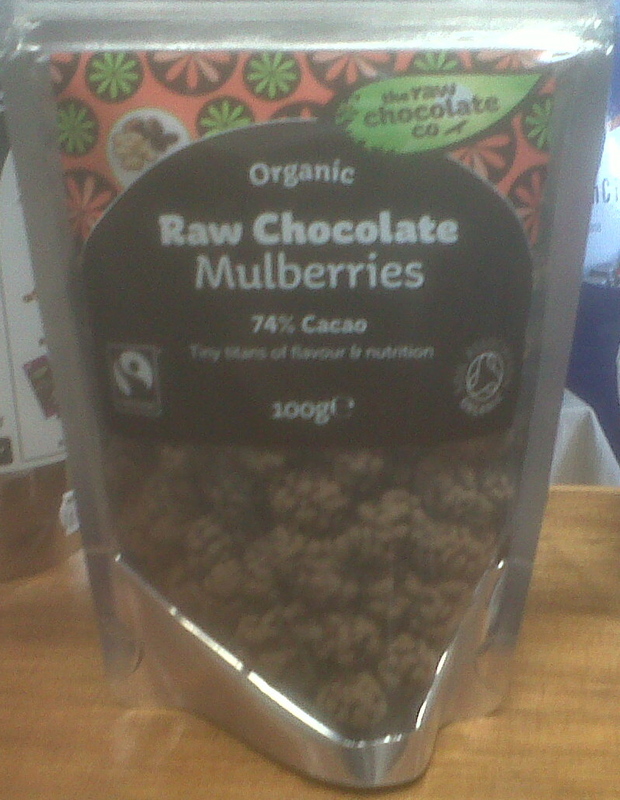 Raw Chocolate Mulberries – a yummy snack. Every year Fairtrade in Sutton undertakes an audit of all retail and catering outlets in Sutton to find those that sell fairtrade products. All the outlets are given Fairtrade certificates to display. Why don’t you check out the shops and cafes in your area to see what is available. The more we shop for and ask for fairtrade products, the more we can directly help smallholder farmers in developing countries sustain a living for their families and avoid poverty. 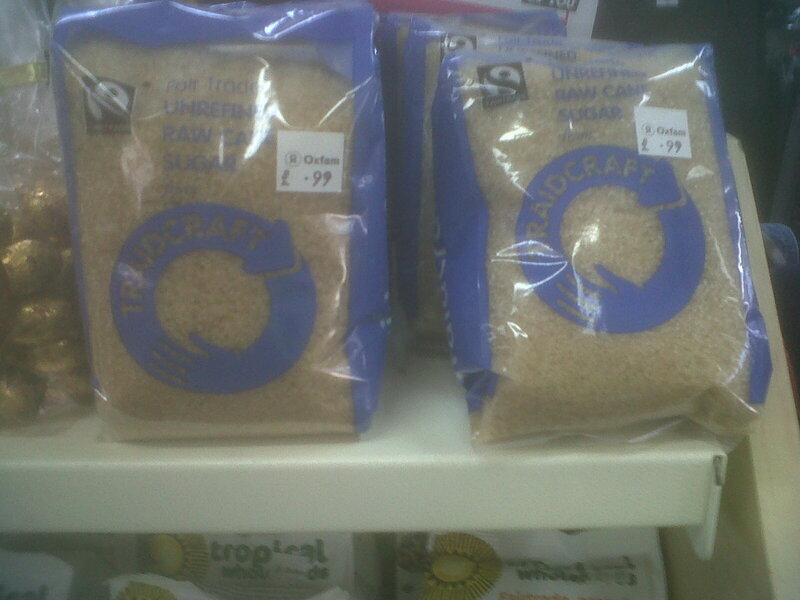 The number and range of products you can buy in Sutton might surprise you. A full list will be published soon. In the meantime, ask about fairtrade when you shop in Sutton.